Haven't you collected any funny videos from YouTube to amuse you and your kids for the upcoming Thanksgiving and Christmas? If not, here we scoured the Internet for top 10 funniest YouTube videos 2016-2017. Hope you can have a funny Thanksgiving or Christmas Day by enjoying the top 10 hilarious YouTube videos inside instead of watching Macy's Day Parade outside. Tips: If you want to amuse your kids or entertain your Grandma during the Easter or Summer holiday, you can save these top funniest YouTube videos 2014-2015 offline with MacX YouTube Downloader. Just free download the top 10 funny YouTube videos (also other movies music) on your Mac OS within seconds. Free download the top 10 funniest videos on YouTube, Dailymotion, Vevo, Vimeo and 300+ music sites in HD 1080p/720p and 4K/8K UHD quality. No adware or malware. Blake Wilson goes by Bat Dad on Vine. He is not only a dad of four kids from Atlanta but also the hero of suburbia, and he's funnier than anything we've seen on Vine, at least this year. One thing is for sure: prank shows in Brazil aren't fooling around. This is probably the most terrifying prank I've ever seen. But it's just for fun. Is it a purr? Is it a song? Either way, it's intensely cute when this hungry feline gets its food. Anyway, it has made me laugh without fail every time I watch it. Comedian and impressionist Christina Bianco just went to the top of our favorite people list. She impersonates some divas better than others but I have to give her props. This interview is amazing, and probably the best thing to come out of the Today show franchise in just about ever. This story would brighten up a few smiles here. This YouTube video involves one man's over-the-top impressions of just that. It's funny. It's weird. 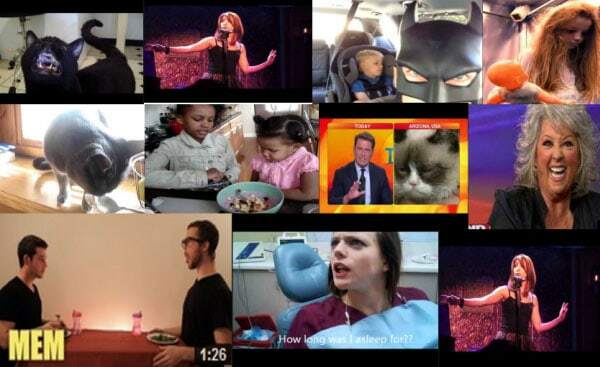 It's also extremely popular with Internetters, racking up nearly 7 million views since hitting YouTube on Monday. If you were in a sorrowful mood, this video clip can be an effective way to let you laugh and forget your sorrows. Someone slowed down the audio on a Paula Deen appearance on the Oprah show a couple years ago, the results are simply pants-wettingly funny, and maybe a bit frightening. When referring to Cameron directed movies, Titanic is surely his masterpiece. But for sci-fi movie followers, Avatar is the way to go. The movie's scale is undeniably impressive and also deserves to be one of the top ten Oscar award movies of all time. Sylvester and Gibson are threatened by an angry landlord, spiders and bacon. This is the first Talking Kitty video of 2015. 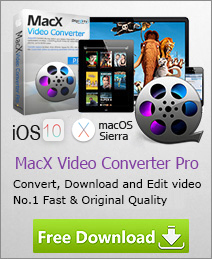 Tips: To get these funniest videos from YouTube for watching on your iPhone, iPad or Android offline can be an easy thing with the aid of MacX Video Converter Pro. With it, you can simply download 4K YouTube video and convert to any Apple or Android gadgets including iPhone 6s, iPad Air 2, iPad Mini 4 with Retina display, iPad Pro, Galaxy S6 edge+, and more, so that you can enjoy these funny video clips with your grandpa or kids anywhere anytime. Captivated by the funny crazy cat videos? Eager to download the funny cat videos for offline watching with nary a penny? Here guides you to download the top funny kitten videos from YouTube free of charge.